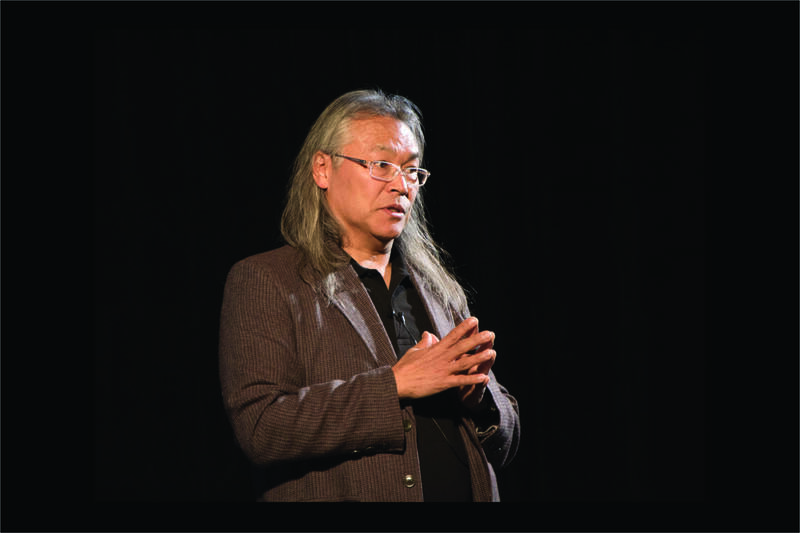 Reynolds School of Journalism students had the opportunity to meet Pulitzer Prize-winning photojournalist Paul Kitagaki Jr. during a special public discussion on April 5. The event was the latest in the Reynolds School’s Center for Advanced Media Studies speaker series, which aims to connect students to individuals with outstanding journalism careers. During his visit, Kitagaki Jr. discussed his “Gambatte! Legacy of an Enduring Spirit” exhibit, which documents the legacy of Japanese Americans subjected to internment camps in 1942. Kitagaki Jr.’s visit was arranged by Reynolds School professor Howard Goldbaum. Paul Kitagaki Jr. speaks in Studio A at the Reynolds School. After examining photographs of his family awaiting detainment in 1942, Kitagaki Jr. was inspired to interview surviving Japanese Americans who experienced forced relocation and share their stories. His search, which began in 2005, eventually resulted in a number of audio and video interviews and photographs that mirror those taken over seven decades ago. According to Goldbaum, students had a number of intriguing questions for Kitagaki Jr. and were particularly inspired by the in-depth nature of his project. “Students were impressed not only by the content of the photographs but by the decade-long commitment to a personal project that was all-consuming,” Goldbaum said. Kitagaki Jr. has a storied career in photojournalism and documentary photography. His work has ranged from covering nations such as Vietnam and Iraq to six Olympic Games. He has worked as a senior photographer at The Sacramento Bee since 2003 and has received a variety of awards, including a shared Pulitzer Prize for his coverage of the Loma Prieta earthquake in 1990. 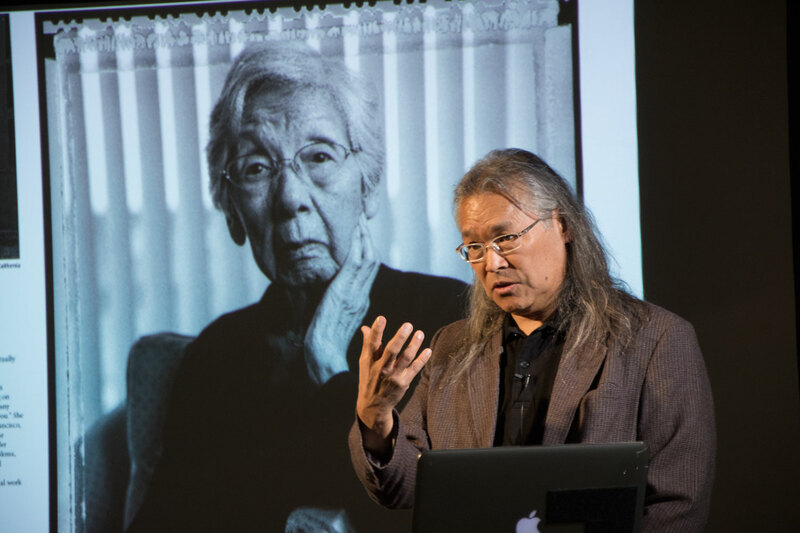 In addition to his public CAMS presentation, Kitagaki Jr. met with students in Goldbaum’s photojournalism courses and offered critiques on their various projects. During his classroom visits, Kitagaki Jr. detailed the duties of a photojournalist at a daily newspaper and made light of its unique challenges. 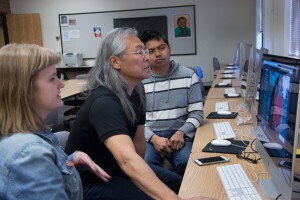 Paul Kitagaki Jr. critiques the photographs of RSJ students Breanna Denney and Jon Sarmenta. “What he demonstrated is that you have to be a professional and photograph all kinds of subjects,” Goldbaum said. “On a daily basis you don’t know what you’re going to be assigned. If you’re a photojournalist at a daily newspaper you might have to do fashion one day and fire rescue or sports another day. More information about Kitagaki Jr. and his work can be found on his personal website.